Yesterday we announced EcoHack World, the continuation of our three-year mission to bring scientists, journalists, digital storytellers, software engineers, designers, and other hackers into the same room to tackle environmental issues that matter. This announcement shamelessly follows the Obama administration's launch of the Climate Data Initiative to support initiatives that transform open information into climate action. 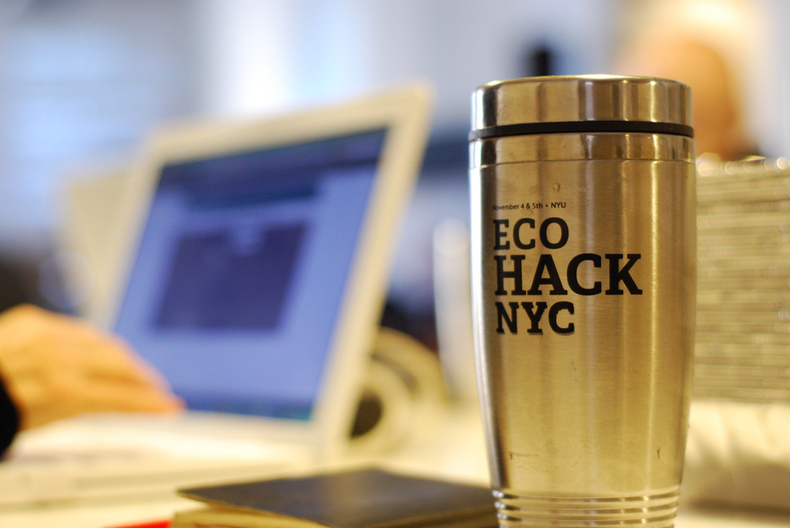 EcoHack is highlighted as a private-sector commitment to assist in this herculean effort. We are proud to be a part of the initiative. EcoHack has hosted everything from teams creating data visualizations to teams building kites to fly cameras. We have seen that by giving people an opportunity to collaborate on important environmental challenges that we can come up with innovative solutions. The event is organized by the Data Lab at WRI, Vizzuality, Public Lab, and Environmental News Lab, and primarily sponsored by WRI.